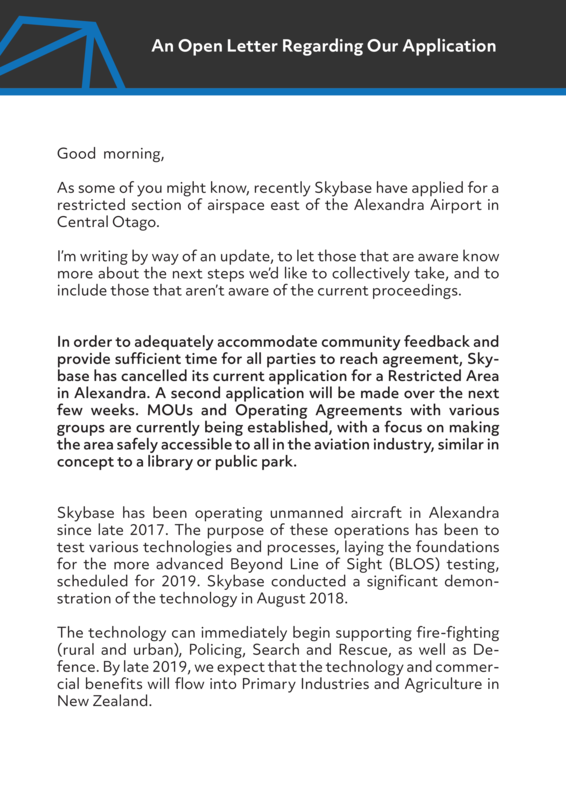 In order to adequately accommodate community feedback and provide sufficient time for all parties to reach agreement, Sky- base has cancelled its current application for a Restricted Area in Alexandra. 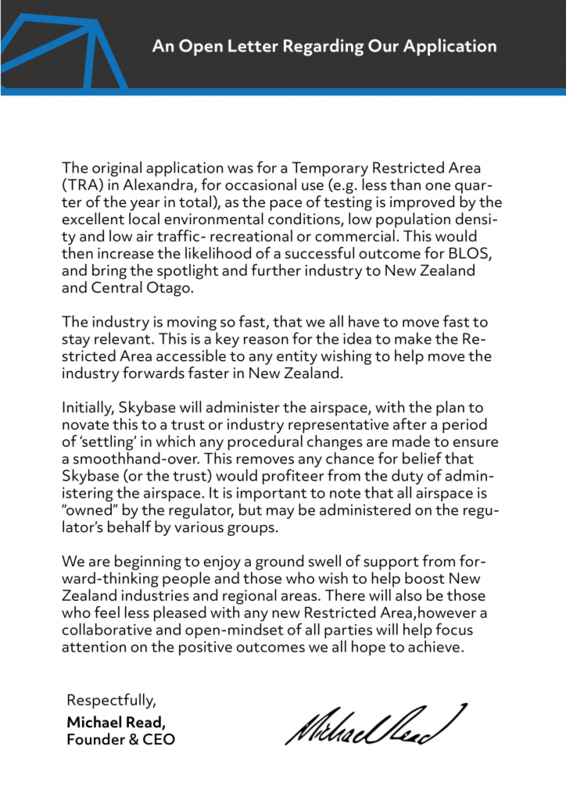 A second application will be made over the next few weeks. 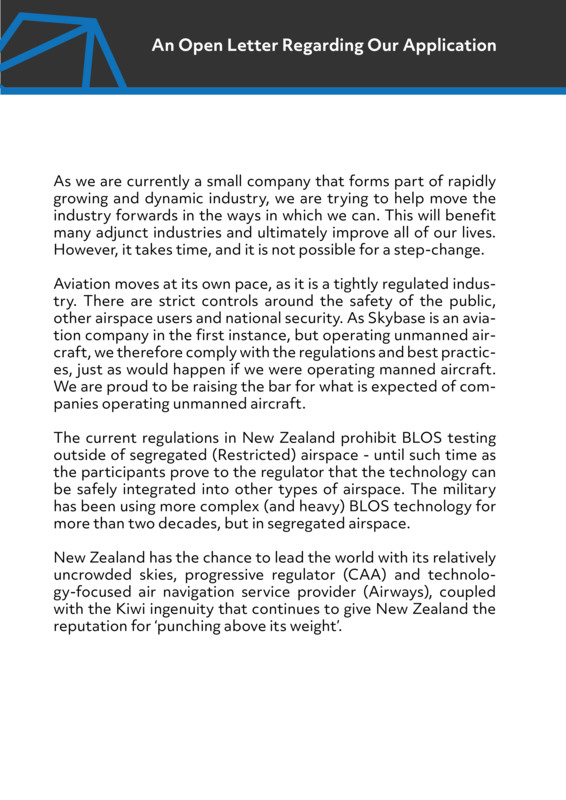 MOUs and Operating Agreements with various groups are currently being established, with a focus on making the area safely accessible to all in the aviation industry, similar in concept to a library or public park.